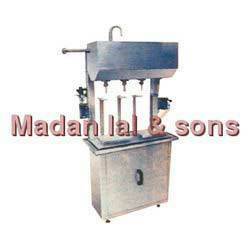 We manufacture all types gravity filling machines. We put forth Automatic Rotary Gravity Filling Machine for our clients. Our offered machine is designed and developed using high quality components and state-of-the-art technology in compliance with the set industry standards. Our offered machine is used in filing non-carbonated liquids like milk and juice. Moreover, this entire range is available with us in varied specifications. We bring forth exclusive Semi Linear Gravity Filler Machine. Our offered plants are precisely engineered by employing hi-tech technology in accordance with the varied industry applications. Moreover, clients can avail this entire range of products from us in several specifications as per their requirements. 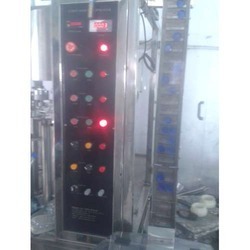 Looking for Gravity Filling Machine ?